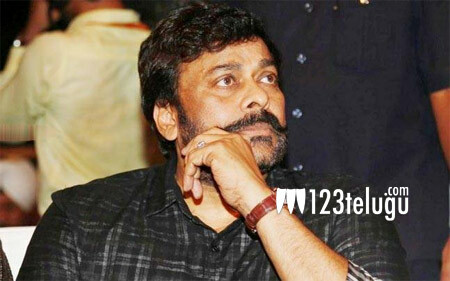 Megastar’s Uyyalawada Narasimha Reddy To Be A Pan-Indian Film? Megastar Chiranjeevi’s much-awaited film Uyyalawada Narasimha Reddy is going to be a pan-Indian film, if the star cast is anything to go by. Directed by Surender Reddy, the film is being produced by Ram Charan under Konidela Production company banner. For the past few weeks, there has been a lot of speculation about what the star cast is going to be. While Nayanthara is the lead actress in this biopic of a freedom fighter, the makers have pulled off a casting coup by bringing several big names on board. According to the latest buzz, apart from Chiranjeevi and Nayanthara, the film also has Amitabh Bachchan, Vijay Sethupathi, and Sudeep in lead roles. A R Rahman isn’t scoring the music and Ravi Varman is the cinematographer. This is easily one of the finest cast and crew list to have been put together in recent times. The film’s first look will be unveiled soon.